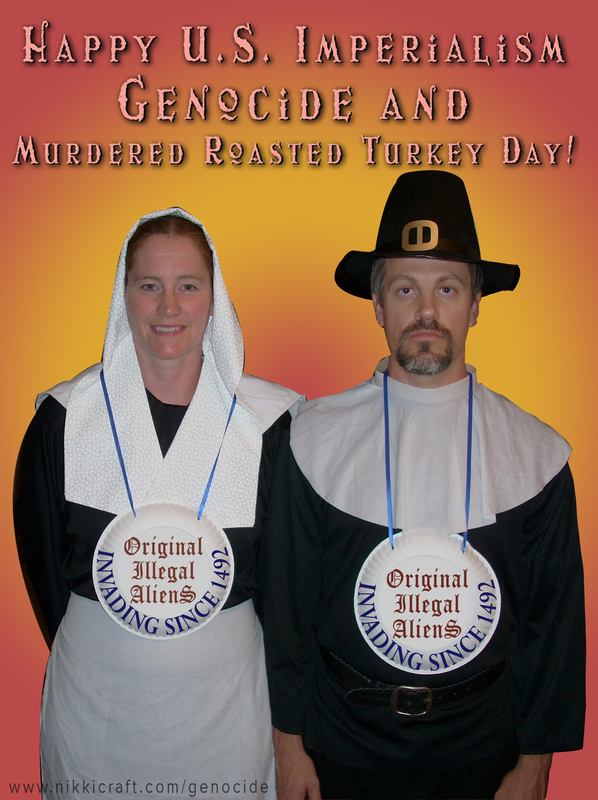 Happy US Imperialism, Genocide and Murdered Roasted Turkey Day! Collaboration with Michael J. Sliwa (Puritan, right) and Karen Sliwa (Puritan, left) and Nikki Craft. Please feel free to use these graphics for nonprofit uses (copyleft) @ thanksgiving for websites, blogs, banners, greeting cards and anything else your heart desires.